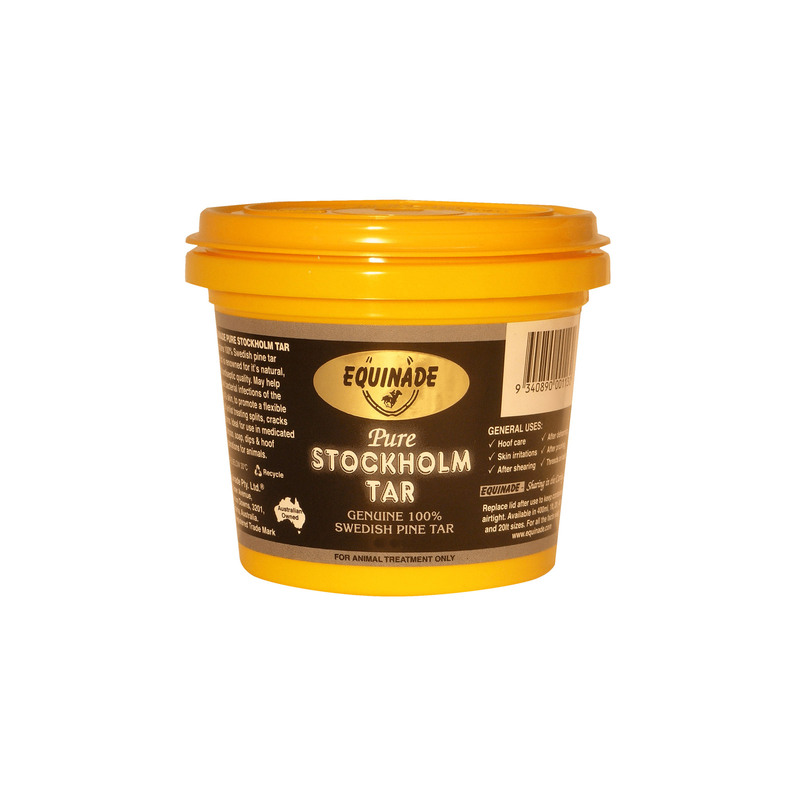 Equinade Pure Stockholm Tar is specially used to combat bacterial infections of hooves and skin including thrush. The Stockholm Tar contains 100% pure Swedish pine tar which has very ratio of antiseptic quality. The topical application also aids in the treatment of split hooves, cracks and corns. Apply on the affected area liberally. Follow directions of use on the pack. This Stockholm tar helps combat infection on my horse’s hooves as well the skin including thrush. It also aids in treating split hooves and cracks.